Breathtaking river view property on premium lot in Grandview Estates in Parlor Grove. 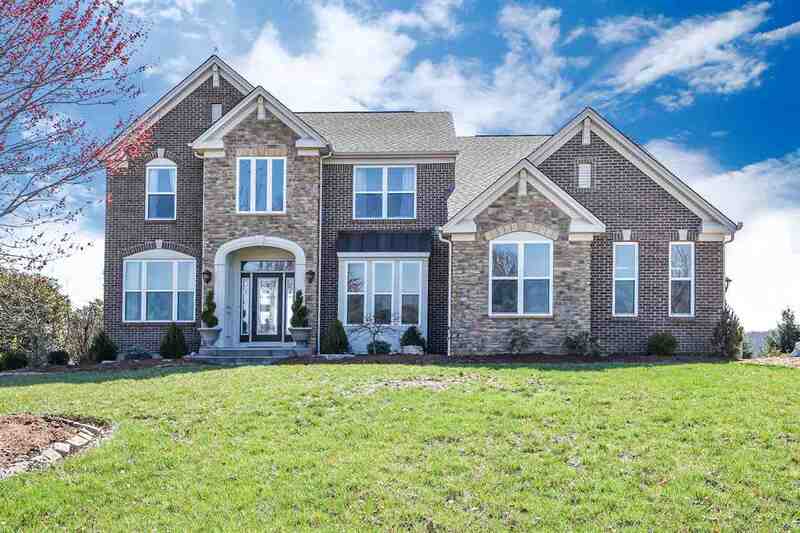 Open and airy floor plan features private study, sun room, family room w/ gas fireplace open to kitchen, Gourmet kitchen with island, marble counters, breakfast nook, pantry, hardwood floors, custom deck with Gazebo, large master suite w/ luxury bath, carriage garage, walkout basement and too many upgrades to list. Rare find. Incredible river views from most rooms. This listing courtesy of, North Pointe Realty Services .